By now, most people are familiar with Snopes.com and/or Truthorfiction.com for determining whether information received via e-mail is true or false. (If not, start using them!) Well, Snopes.com recently put together a fantastic "E-mail Fact List". The the purpose of the list; to inform our readers on what really happens when you send/receive forwarded e-mails, chain letter e-mails and those e-mail petitions. So we at Pacific NorthWest Computers is posting that information to help inform everyone on whats going on behind the scenes with chain mail, the dangers in forwarding those emails and the facts on e-mail petitions. Enjoy and please forward to friends, family and co-workers! Almost all e-mails that ask you to add your name and forward on to others are similar to that mass letter years ago that asked people to send business cards to the little kid in Florida who wanted to break the Guinness Book of Records for the most cards. All it was, and all any of this type of e-mail is, is a way to get names and 'cookie' tracking information for telemarketers and spammers to validate active e-mail accounts for their own profitable purposes. The host sender is getting a copy each time it gets forwarded and then is able to get lists of 'active' e-mail addresses to use in SPAM e-mails or sell to other spammers. If you have been sending out (FORWARDING) the above kinds of e-mail, now you know why you get so much SPAM. Do yourself a favor and STOP adding your name(s) to those types of listings, regardless of how inviting they might sound. You may think you are supporting a great cause, but you are NOT! Instead, you will be getting tons of junk mail later. Plus, you are helping the spammers get rich;. Let's not make it easy for them. REMOVE ALL EMAIL ADDRESSES STILL ATTACHED BEFORE YOU FORWARD A MESSAGE. IT IS PUTTING EVERYONE'S NAME OUT THERE. Most people use a nickname for their email just so their real name is not out there on the Internet. BUT....... if YOU have listed their real name in your contacts, it will also show up next to their email address. Be a friend and delete all the names before forwarding. Even better, send everything by BCC. That's BLIND CARBON COPY. That way NO names will ever show up on an email. That brings us to E-mail petitions. E-mail petitions are NOT acceptable to Congress or any other organization. To be acceptable, petitions must have a signed signature and full address of the person signing the petition. I hope this opens some eyes and educates folks on whats going on behind the scenes with chain mail, the dangers in forwarding those emails and the facts on e-mail petitions. The aware we are to how cyber-criminals work, the better we are on preventing SPAM and identity issues. 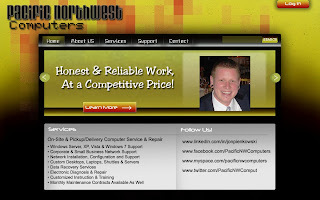 Please pass this blog posting along to all friends, family or co-workers! Browser security and browser vulnerabilities are big topics that I soap box about all the time to customers about just because it's the most attacked vector of the user's computer (other than email). Today I found a fantastic article explaining the importance of securing and using a safe web browser as well as goes over many details of why your browser needs to be secure and how it is exploited! The article was written by the United States Computer Emergency Readiness Team and is the best and most thorough explanation I have ever come across! This is an excellent, definite MUST read article! We now have a Facebook and MySpce Pages! If you are a social net-worker; check it out!
" ...list of domains that are exploiting the new IE-0day exploits as well as secondary domains that are hosting potentially malicious binaries utilized in these attacks... "
This is the Stuff, Die Hard Movies are made after! But, it is also a very serious and very REAL, day to day threat! "Sound the death knell for good old USB 2.0"
"From the makers of Office 2003 and Office 2007..."
But hey, I can't blame em'! After releasing Vista, Office 2007, Windows Live, and Windows Defender. Who wouldn't want to make a comeback.... A BIG come back! Washington Post, White House, FAA, DoD, Others, Targeted in Online Attacks; Scary Stuff! ".... a line of text buried within the malware carried the cryptic message "get/china/dns." ...."
Article can be found and read Here. Google introduces their new "Chrome" Operating System; the great, the good and the not so good. Because of a flaw in Lexmark's printer driver and software removal and uninstall utility. After removing a Lexmark printer driver and software from an XP system, may create "Printer Installation Failed: RPC Server Unavailable" and/or "Print Spooler Service Is Not Running" error messages. The first thing you always need try if you are having any kind of basic software problems, is to try uninstalling and reinstalling the appropriate drivers and software, and/or visit the manufacturer's website and download and install the latest drivers and software for your device. If this does not fix your printing issues, the problem probably lies within Windows itself. (Unless of course, your device is physically broken or you have a broken cable). But what I have seen over the years is that customers with these specific "Printer Spooler Service" or "RPC Server Unavailable" errors happen to to use or have had used a Lexmark printer. "A Windows service is an application that starts when the Microsoft Windows operating system is booted and runs in the background as long as Windows is running." *Quick explanation of What Is RPC and How Does it Work. The Print Spooler Service itself basically is a Windows service that starts when your computer starts, and is constantly running in the background of your operating system to load files to memory for printing. What I would find is that there would be a service installed in the computer from Lexmark called the "LexBce Server". The LexBce Server Service is installed by the Lexmark printer's software to configure the onboard network print server. *The print server accepts jobs from computers and send the jobs to the appropriate printers. When the service installs itself however, it installs itself so the Windows Print Spooler Service becomes dependent upon it. So disabling the LexBce Server Service will make it so that your Print Spooler Service can no longer run. Which in effect disables all printing on your computer. Also, without the Print Spooler running, an installation of a printer is not going to be possible and you are going to most likely get the "RPC" error that was mentioned at the begining. 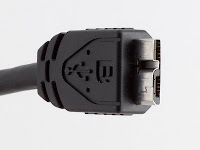 *The LexBce Server Service can also come pre-installed on some Dell computers that are packaged with "Dell" printers; that's because they are made by Lexmark. **The LexBce.dll, a file related with the LexBce Server, is also related to the software "MarkVision for Windows" also a product of Lexmark. So, do all Lexmark printers install this service? I can't say for sure. What I do know is that if you are using a Lexmark printer or have had a Lexmark printer, you could have the LexBce Server Service installed on your computer and may eventually experience the discussed issues. Same scenario for previous owners of Lexmark printers. The un-installation of Lexmark printer drivers/software might have left this service behind. The bottom line is that if LexBce Server Service was, or is, on your computer and happens to fail or is disabled instead of removed during software/driver removal, say hello to the Lexmark Print Spooler bug! Probably one of the number one issues that is brought up to me is "Why is my internet so slow! It use to be so much faster!". Well dial-up or high-speed, everyone can be affected by internet "chug". So here are some quick recommendations and thoughts on how to keep your internet AND your computer running quickly and smoothly! 1) Confirm that the computer itself is operating at maximum efficiency. 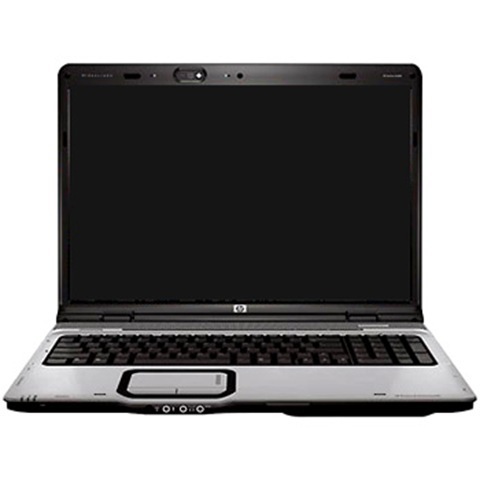 It is very common for computers, mainly those using the Microsoft Windows Operating Systems, do become sluggish after as little as a few weeks of operation. This can make users think that their dial-up connection is extremely slow and can become an incentive to convert to a more expensive broadband connection. Sluggish computers are, of course, less noticeable with broadband. 2) Empty browser's caches and cookies, which are directories that the browser uses to retain copies of previously visited web pages. When these caches become very large, they can consume considerable space on a Hard Drive and thus slowing down your computer's operation, including its ability to displaying web pages. **CCleaner is a free PC optimization tool. It combines a system cleaner that removes unused and temporary files from your system and also a fully featured registry cleaner! CCleaner allows Windows to run faster, more efficiently and gives you more hard disk space. The best part is that it's Small, Fast and Free! 3) Use a fast web browser. There are large differences in the speeds at which browsers render web pages; a browser is rendering when it's interpreting the web site's "geek" code and converting to a form which we see as a beautiful web page. 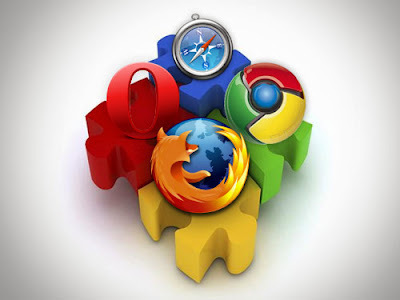 The fastest is said to be closely between FireFox 3.5 and Google's Chrome web browser. Also, the newer the version of these browsers, generally the faster you'll go. Reason for this include improvements in coding and in how previously visited pages are stored in the browser cache. Internet Explorer should be avoided because it is the slowest of the major browsers, because it has inferior security and because it lacks other advanced features. FireFox and Chrome can be downloaded from the Internet at no cost and are available for use with most major operating systems. 4) Use tabbed browsing. Tabbed browsing is an innovation built into advanced browsers such as FireFox and Chrome that allows multiple pages to be opened at a time in which appear as different pages in a single web browser window. Each of these pages is easily accessible by clicking the appropriate tab along the top of the window. This can be much more convenient than having to open each page in a separate browser window when it is desired to have a number of pages open simultaneously. Furthermost, it can also speed up the web surfing by making it more convenient to be downloading other web pages while another page is being read. 5) Avoid unnecessary browser plug-ins, which are downloadable software that is designed to "add functionality" to your web browser. Plug-ins can substantially decrease web page rendering time because they allow additional data to be downloaded for many pages or is trying to consistently update "sibling" applications. Perhaps the most notorious example is Adobe Flash, which is used for moving images. 6) Turn off pop-up windows. These unrequested windows, which are usually used for advertisements, consumes bandwidth and can slow down the rendering of web pages. They are also a nuisance because the user has to click them to close them. The ability to turn off pop-up windows is a major feature of advanced browsers such as FireFox, Chrome and Safari; it was not available on Internet Explorer as of early 2006. 7) Turn off web page images. This is probably not desirable for most people, but for those who are interested solely in text, it can speed up the loading of web pages considerably, particularly those which contain numerous advertisements or other images. With the FireFox browser, for example, this is accomplished by clicking on the Edit menu to open the Preferences panel, clicking on the Web Features icon and then removing the check mark from the Load Images check box. Finally, click the OK button at the bottom of the panel. - A full, or nearly full, hard disk drive (HDD) & a lack of defragmentation. 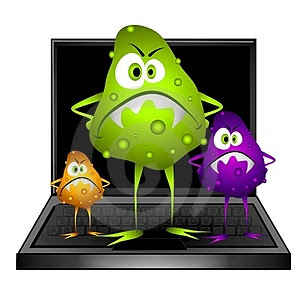 - The presence of viruses or other malware in the system. **Typically, the first of these is the easiest to correct; this can be accomplished by removing little-used files and programs. However, malware can be "in-the-wild" per-say for up two weeks or more before being identifiable by your Anti-virus software. So there is small possibility that there might be something in there that just can't be seen for found yet; worse case scenario of course. Applocations were picked for the effeciency, effectivness and low impact on the user's system performance. Avira AntiVir Personal - FREE Antivirus is a reliable free antivirus solution, that constantly and rapidly scans your computer for malicious programs (such as viruses, Trojans, backdoor programs, hoaxes, worms, dialers etc. ), monitoring every action executed by the user or by the operating system and being able to react promptly when a malicious program is detected. Avira AntiVir Personal is a comprehensive, easy to use antivirus program, designed to offer reliable free of charge virus protection. Detects and removes Trojans, Worms, Spyware, and other malicious programs. Several strategies of disk optimization. Reclaims MFT reserved space after disk is full. Can defragment very full hard drives. Can be used from the commandline (DOS).